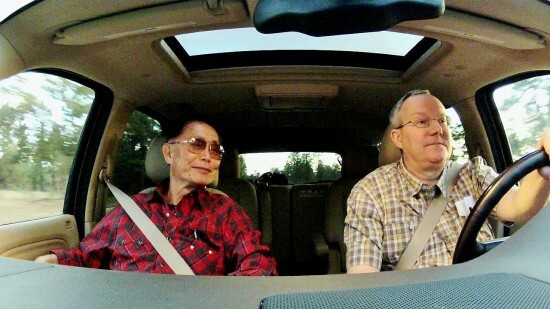 I looked forward to seeing “To Be Takei,” the documentary by director Jennifer M. Kroot and producers Kroot, Mayuran Tiruchelvam, and Gerry Kim, which follows George Takei and husband, the former Brad Altman, in their daily lives interspersed with footage from Takei’s career. And there’s a lot to recommend. The filmmakers return to the actor’s feelings about the internment of Japanese Americans a surprising number of times. We see Takei giving speeches throughout the country about what happened (however, none of them link the violation of human and civil rights to recent groups who also came under suspicion during times of war, like Arab Americans and Muslims). And they also focus on Takei’s musical “Allegiance,” which delves into the legacy of the camps through the eyes of former internees. There are also interviews with the surviving cast members of “Star Trek,” Sen. Daniel Inouye, Clinton and Bush Cabinet member Norman Mineta, John Cho (the “new” Sulu), B.D. Wong, and Lea Salonga. One uncomfortable moment: Takei recounting his first homosexual encounter when he was seduced by a summer camp counselor at the age of 16. Uh, and how old was the other guy? But in the end, I was frustrated that the filmmakers didn’t take more advantage of the footage out there to flesh out certain issues to greater effect and satisfaction. In the documentary, William Shatner claims he didn’t expect to be invited to Takei’s 2008 wedding to Altman because Shatner doesn’t really know Takei (Takei is incredulous, reminding us they worked on a series for three years then six films). They should’ve shown clips of Shatner expressing outrage to “Entertainment Tonight” about not being invited along with Takei’s insistence that he invited his former co-star, but he didn’t RSVP. It would’ve shown just how slippery a character Shatner is. Also overlooked is Takei’s campaign to make Sulu the captain of his own ship. For “Star Trek II,” they filmed a scene where Sulu is promoted to captain but Shatner refused to look him in the eye when congratulating him. Takei felt his co-star was purposely sabotaging the scene so it wouldn’t be used. In the end, Takei was right, it was left on the cutting room floor, and it wasn’t until “Star Trek VI: The Undiscovered Country” that Sulu got his own ship, Excelsior, and came to Captain Kirk’s rescue. It would’ve been great to see the footage of Shatner’s mischief. In the documentary, Shatner says for “Star Trek VI,” he thought Takei should’ve been part of the Enterprise crew. That would’ve been a perfect opportunity for Takei to talk about the aborted “Star Trek II” scene and assert Shatner just didn’t want one of his crew members to be promoted to his own rank — that of captain. The producers even shortchange their star on “Star Trek VI,” showing very few clips from it: The opening of the film where Captain Sulu talks about the mission his crew had just completed, and later shooting a Klingon ship that was targeting the Enterprise and receiving thanks from Kirk. That’s it?! Where’s our sassy Captain Sulu telling a crew member (played by Christian Slater) to lie to Starfleet Command and report they didn’t know where the Enterprise was (when the officer questions the command, Sulu shoots him a dirty look: “You having hearing problems, Mister?!”)? Where is the shocked Captain Sulu looking at a fast-approaching cosmic explosion yelling, “Shields! Shields!” before everyone on deck is knocked to their feet? Where is the determined Captain Sulu trying to reach the Enterprise in time urging his crew — as if yelling “Mush!” and whipping snow dogs — “C’mon! Faster! Faster!” And to warnings that “She’ll fly apart!” him responding, “Fly her apart, then!”? Heck, in the “Centennial Collection” of “Breakfast at Tiffany’s,” Paramount used more footage of “Star Trek VI” than “To Be Takei” does to illustrate my comments on the actor’s importance to television and movies. Unanswered is if Takei’s parents knew about his sexual orientation and how they felt about it. In a previous interview, I’d seen Takei say a “sibling” doesn’t support his being gay, purposely not indicating male or female (in “To Be,” sister Barbara appears on camera, so I assume the person in question is his brother — who goes unnamed). And because the film doesn’t show who’s actually behind Takei’s Facebook postings (we know at least one writer comes up with jokes for him), it isn’t completely honest, even though Takei and Altman gave the documentarians final cut. Shortcomings aside, “To Be Takei” is worth watching (89% of surveyed movie critics on RottenTomatoes.com recommend it). According to the film’s website, it’s scheduled to play in 37 cities. Unfortunately, distribution is weak: At this point, you can’t see it in Southern California. It only stayed in Pasadena and West Hollywood for a week. Channel Surfing Department: “Extant,” CBS’ science fiction summer series starring Halle Berry, features Hiroyuki Sanada among its regulars. The charismatic native of Japan was featured prominently in the Tom Cruise/Ken Watanabe vehicle “The Last Samurai.” On this series, he plays Mr. Yasumoto, a cold, calculating industrialist who’s seeking Berry’s alien baby (never seen), with whom she got impregnated while in outer space. 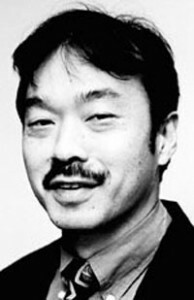 Yasumoto believes the alien’s powers will manage to keep him alive (he regularly undergoes some mysterious process to do just that). In one chilling scene, Russian scientists eager to please him (or else be shipped back to Siberia) tell Yasumoto they believe they fixed a problem. Fine, he says, go in the chamber. One of them does. “Now remove your helmet.” The other nods for him to do as he’s told. At first, the “guinea pig” is relieved that nothing happened to him. Oh, but they didn’t quite solve the problem because now he’s got boils all over his head and he quickly dies. Yasumoto just watches, emotionless. Huh. Nice guy. 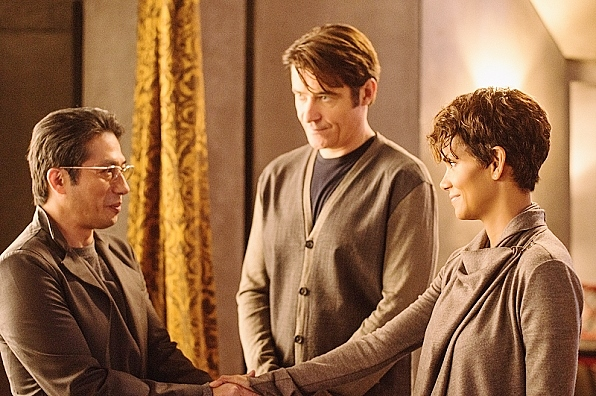 “Extant” airs Wednesday nights at 10 p.m.